Anxiety is a short term natural response that can become prolonged and lead to stress. People experiencing anxiety use a fight or flight response for protection from perceived dangers. Anxiety involves individual responses which are usually learnt form earlier, previous experiences including personal and environmental. When anxiety is prolonged, people can fear their own anxiety symptoms, especially feeling out of control, creating a vicious circle. Limited and manageable anxiety is normal and healthy as it enables our motivation for getting things done e.g. you can be anxious before an exam, so you revise to enable you to be able to do the exam. Anxiety manifests itself in many forms. Panic attacks can be so severe you may feel like you are having a heart attack. Like anxiety in general, panic attacks can feel overpowering and overwhelming. You can feel like they control your life. They are very common and treatable, however. If you suffer from three or more of these then you may have a panic disorder. 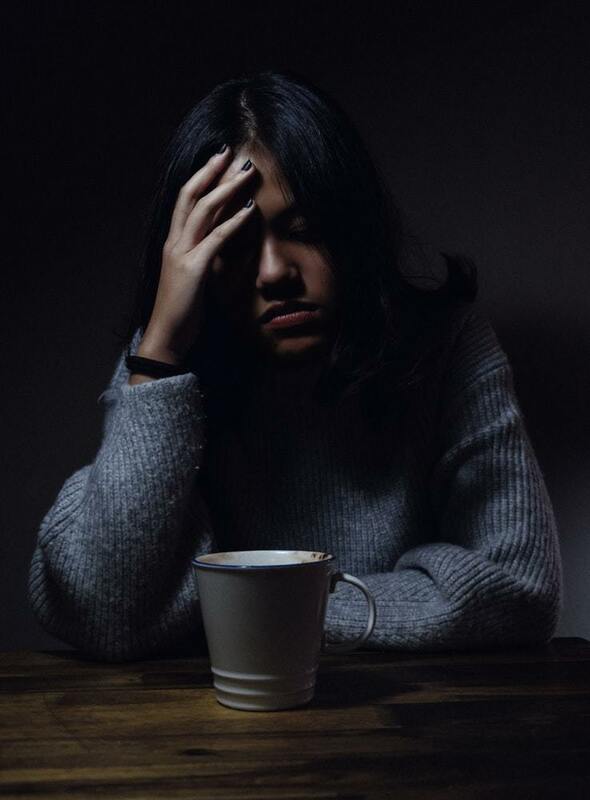 Another thins to watch out for is if you are prone to regular panic attacks, and these sometimes lead to a period of heightened anxiety or avoidant behaviour. Anxiety is like panic, however it has a tendency to less extreme and more drawn out. Tension increases over time and often occurring alongside excessive worry. The symptoms of anxiety are very similar to the symptoms of a panic disorder. They can be split into two types: Psychological and Physical. Physical • Increased muscular tension – headaches / discomfort. • Rapid breathing – light headed shaky, pins & needles. • Rising blood pressure – awareness of pounding heart. • Digestive system – need to use the toilet, nausea or sickness, butterflies in stomach. Social nervousness is the dread of being judged and assessed negatively in social interactions with others. It can be sever and have a impact on regular daily existence. When you feel social anxious it can be scary and deflating. Not being able to spend your free time with friends, family and others seems incapacitating. It may interfere with your work and livelihood. Social Anxiety may also show through a negative voice that be overwhelming while in the company of others. The critical voice is often seen as being real and or telling the truth, distorting reality and thinking. It can be quite difficult to listen to more reasonable counter voices when feeling socially anxious. Treatment often focuses of becoming aware of these critical voices and becoming more attune to healthier counter ones. Is when anxiety appears to not have any obvious trigger or focus, it is also what mental health professionals tend to diagnose if they aren’t clear of the diagnosis. The treatment is very similar to other forms of anxiety, but you may need to spend longer exploring what the potential triggers for your anxiety may be. Phobias are automatic, inappropriate involuntary fears. They are often is response to ordinary and common situations, that most people deem safe.Phobias typically come originate from the past and are projected onto the present. Traumatic events that we experienced at earlier period in our life, as children or adults, cause a mental ‘scar’ that triggers in our contemporary life. It is not always possible to figure out where the phobias have come from, but that doesn’t matter. It is still easily treatable. Phobias are linked to anxiety and panic attacks with sights, or even thoughts about, the feared objects triggering these. Social phobia – a extreme dread of looking inept, peculiar, or senseless when when out with family, friends, colleague or strangers. Social phobia typically leads to the avoidance of public areas and situations. Specific fear – a intense dread of a particular object, for example, a phobia of snakes or insects or individuals on tall bikes. The list of possible phobias is a long one and even seemingly harmless things like butterflies can become a object of a phobia. Agoraphobia – is a extreme dread of feeling caught in a situation, particularly in an open space. Agoraphobia often occurs along with the dread of having a fit of anxiety in a unfamiliar. The opposite of agoraphobia is claustrophobia, fear of confined spaces. Having phobias can cause feelings of gloom and low self-esteem. All of us have phobias to some degree. It is completely normal to be afraid of some things. It is when these fears begin impeding regular daily existence and start limiting our potential for authentic happiness and joy in life that they we need to seek treatment. Feeling anxious can in itself be anxiety provoking. One of the worst things about having phobias, or anxiety or panic is the fear that we may have another anxiety or panic attack. This fear that our panic or anxiety will be triggered in certain circumstances is usually the thing that holds us back. The fear robs us of enjoying life and living a life that feels joyful and free. Counselling can enable you to take control of and defeat your anxiety. There are a number of things that you can do to start treating your anxiety. Getting enough daylight and exercise can be useful, as is eating a healthy balanced diet and drinking a lot of water. It’s important that you reduce your consumption of caffeine and alchool as both are stimulants that will increase your anxiety. You may also want to consider yoga, meditation or mindfulness or other ways that can help you relax. Swimming can be really relaxing for some people. The above will work for mild to moderate anxiety. If your symptoms are moderate to severe, you should think about scheduling a consultation with me so that you can explore the possibility of getting professional help. Exploration of some of your thoughts and feelings during the anxiety process or cycle. The introduction of tools and techniques that can help you start to get control and defeat your anxiety. Getting some assistance will help you feel calmer, more relaxed and joyful. Let’s discover how I can help.Reach out to schedule your first appointment. During your first session, you can share a bit about what’s troubling you and I can answer any questions you might have. We’ll discuss your goals and my approach and assess whether we are the right fit for each other. To schedule your first appointment, call 01733 639 040 email info@www.mentalwellnesscounselling.uk. I’m here for you.